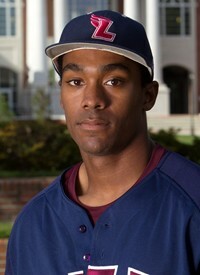 With their fourth-round pick, the Red Sox have selected right-handed pitcher Myles Smith from Lee (Tenn.) University. Smith was a two-way player when he began his college career, splitting time between pitching and the middle infield, but has focused on pitching the last two seasons. In 13 starts in the 2013 season, Smith went 11-4 with a 2.67 ERA in 84 1/3 innings, striking out 94 while walking only 38, leading Lee to the NAIA playoffs. The 6-foot-1, 175 pound righty, ranked 108th in the class by Baseball America and 105th by Perfect Game, stood out due to his plus velocity, superior change-up, and excellent athleticism. Per Perfect Game, Smith's fastball sat 90-93 entering this year, but improved to the 93-97 range in 2013. He supplements that with a dominant change, considered his best pitch. He also throws a slider. Smith was previously drafted in 2012 by the New York Mets in the 16th round out of Miami-Dade Junior College, but chose instead to enroll in the University of Miami. However, he was declared academically ineligible at Miami, and was left only with offers to NAIA schools, and chose to attend Lee. Considered one of the top high school talents coming out of Michigan in 2010, Smith originally enrolled at the University of Missouri. He played both ways for the Tigers, but found little playing time before transferring to Junior College the following season.